When did you last pick up a printed book? For more than 31 per cent of Hongkongers, the answer is: at least a year ago. This finding was revealed in a survey carried out by the Hong Kong Publishing Professional Society, which questioned 2,063 of the city’s residents. Those who said they are regular online readers often look at news and commentaries, or browse their social media feed when they read on the internet. Only 12 per cent of these respondents said they read electronic books (e-books). Another survey, the 2016 Progress in International Reading Literacy Study, found that although Hong Kong primary school pupils ranked third in terms of their reading comprehension of out 50 countries and state regions, only 36 per cent of these children said they liked reading very much – ranking them only 33rd in that category. Such low numbers are worrying – particularly for libraries, because if fewer people are reading, what does that mean for the future of librarians? A library’s traditional role has been to provide free information and to promote reading. In libraries around the world you can access paper records and printed books, whether researching something for school or university, for example, or simply looking for a book to read. Since 1876, paper records and printed books have been organised according to the Dewey Decimal Classification System, to help find them as easily as possible. More than 150 years after Melvil Dewey invented the system, emerging technologies, along with the internet, smartphones and e-reading devices, are now changing the way we consume media, and how – and if – we read. To keep up with the times, libraries must house both paper and digital records. A 21st-century library needs to provide access to a wealth of online information, digital libraries and other information resources, including media players. “We carried gramophone records a long time ago,” Melinda Lee Mei-ling, chief librarian of the special duties unit at Hong Kong Public Libraries, says. The internet and digital transformation now underway might seem to some people to be an obstacle to reading, but Lee believes the web can be a tool to boost reading if used in the right way. E-books, for example, can be used to pique the interest of reluctant young readers, while reading online often enhances the experience for elderly people by allowing them to enlarge the font size of text so it is easier to read. Hong Kong’s public libraries currently cater to e-reading demand with a database of 290,000 e-books and they also have a vast array of electronic resources to help library users with research or personal and professional work. Users can log onto their library accounts from anywhere to access the resources online, or read the information using a library workstation. To further encourage e-reading, Lee says a campaign will launch in January to give members of the public access to 40 e-books in Chinese without having to log in, as they do now. 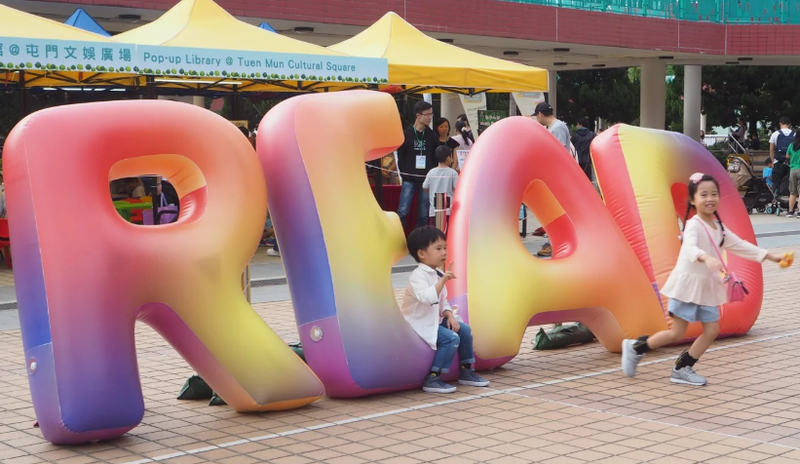 Creating campaigns such as this, and coordinating in-library events and programmes, has always been part of a librarian’s role, but these parts of the job may grow in importance as reading rates fall in Hong Kong and around the world. Lee’s job is to devise strategies to promote reading. “Ultimately, we want to build a reading culture in Hong Kong so that reading becomes an everyday habit for each citizen,” she says. Lee also needs to identify potential collaborators, such as different government departments, community centres and non-governmental organisations. “We need to work with like-minded partners to build a reading culture in Hong Kong,” Lee says. “We cannot bury our heads and just work on our own. “Working with partners enables us to share our resources. We can also tap into their networks and marketing platforms. One partnership that has generated innovative ideas is an initiative in collaboration with non-profit Boys’ & Girls’ Clubs Association of Hong Kong. The “Fun Reading in Your Neighbourhood – Pop-up Library” entails the setting up of reading stations in venues outside libraries. Since November, three pop-up libraries have appeared in an outdoor cultural square, a park, and a public housing estate. The final pop-up library will be in Sheung Wan Civic Centre on Sunday. These pop-up libraries are designed to engage visitors in a new reading experience: reading corners are set up with colourful tables and chairs, and bookshelves filled with popular children’s stories, along with ventriloquist storytelling, arts and crafts workshops, and e-books for parents and children. At one pop-up library, one of the clubs involved gave away its collection of children’s books to visitors for free. On 20 January’s Sheung Wan Civic Centre pop-up, the Hong Kong Public Libraries is aiming for something different: it has arranged for an elderly acapella group to perform. The collaboration with the Clubs Association has inspired Lee’s team to bring a band of young performers to play at the event, too. She believes children are naturally drawn to reading and, given the right kind of opportunity and stimulus, can eventually become avid readers. Lee says parents should read to their children every day, even if only for 15 or 20 minutes, and she also encourages the use of picture books. “Instead of reading word by word, mums and dads can try telling a story with pictures,” she says. “Can the children describe an illustration? What do they expect to see on the next page? The government has recognised the many benefits of reading and recently allocated a grant to public libraries to step up their efforts to provide enjoyable reading experiences for schoolchildren and cultivate an interest in reading among younger people. Lee and her team are responsible for designing and executing the new programmes and initiatives, such as “Fun Reading in your Neighbourhood”. Another idea involves libraries reaching out to the community by loaning books to pre-schools. The books are selected under guidelines set out by the Education Bureau so they meet the needs of children in different developmental stages, and cover themes including poetry and rhymes, and emotion and social skills. Teachers can borrow an entire set of books under the theme of their choice and plan their teaching material accordingly. The books can be delivered to schools, too, so teachers do not have to collect them from libraries. Despite all the changes, Lee still believes in the power of printed books and says many people still treasure the experience of reading them. “Reading printed copies offers you a unique experience,” she says. Looking for a fun, family-friendly reading experience? Visit the final pop-up library event at Sheung Wan Civic Centre on Sunday, January 20. For details, go to https://www.hkpl.gov.hk/en/extension-activities/event-category/144063/fu….